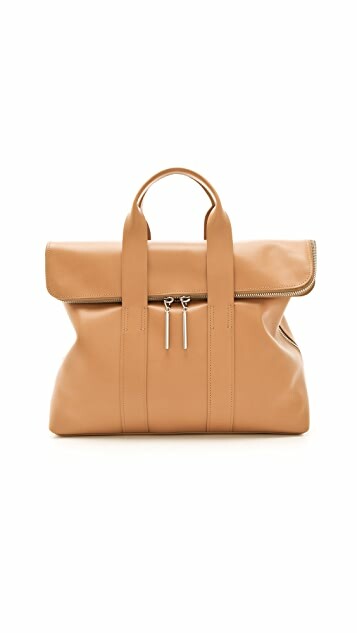 A sleek 3.1 Phillip Lim bag in rich, supple leather. 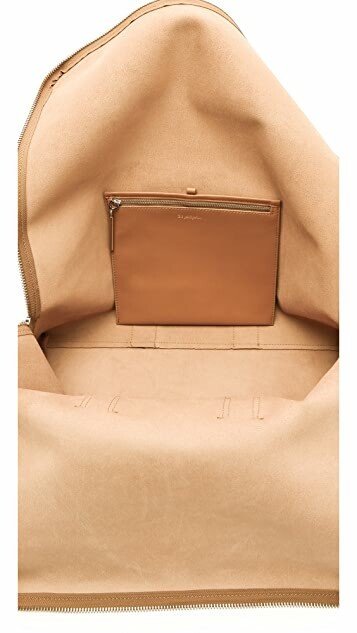 Rolled double handles afford easy transport, and the main flap opens to an unlined interior with a single zip pocket. Lovely bag but bigger than I thought. A little smaller would be perfect. I needed a large but lightweight bag and this one fits the bill perfectly. The camel color is a touch darker in real life than as shown in the photos. The leather is smooth and of a nice quality. 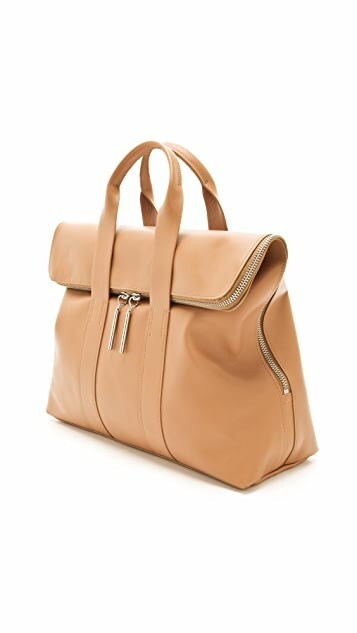 The bag is unlined but the suede side of the leather is very soft and does not shed like cheap suede does. The stitching is all very nicely done. The zipper was a little sticky but I rubbed some soap on it and that made a big improvement. 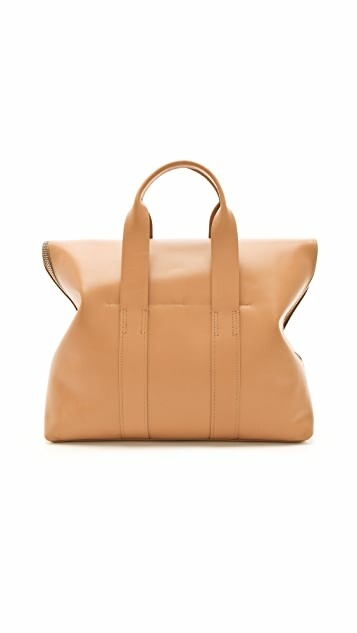 In my opinion this looks like a more expensive bag than it really is. 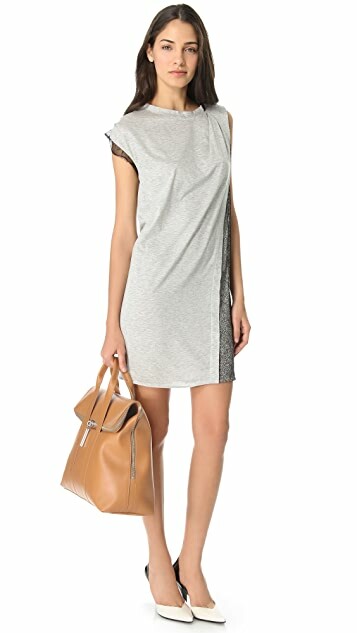 I am very pleased with this purchase and with Shopbop's wonderful CS.